Way back on 7 days ago, I posted the reasons I believed that Apple would build a car. I was quickly reminded by a friend of mine, who goes by the name of Brad Hampton and happens to be a Senior Digital Consultant for Shift Digital (and agency focused on the automotive market), that I may in fact be wrong. Very wrong! Below are the reasons for his disbelief. Apple designing a car would be like if they released a phone with wireless charging. Designing a beautiful device for the masses doesn’t focus on how great it works, it focuses on how good it looks. Vehicles tend to operate on a different wavelength with the average consumer. First and foremost, the vehicle needs to be reliable (see not bend), safe, dependable, and pass all the stringent laws regarding emissions. Apple works hard to increase profits and avoid federal oversight through overseas production. Breaking into the phone or tablet market has relatively low barriers of entry. Overthrowing a century deep business model stacked deep with lobbyists is near impossible. Tesla has overcome many obstacles in this arena but still loses its fair share. The only way Apple would successfully launch a go-to-market ready vehicle would be to partner with an already established manufacturer which likely won’t happen with record 2014 sales and even higher 2015 target growth. While Apple has a devout (dare I say cult like?) following, a $300 on-contract iPhone is a long way from a $80,000 luxury sedan in an already overcrowded market. Apple sold an astonishing 10 million iPhone 6’s in the first 3 days after it launched in a market where they have over 36% market share. In the automotive industry where Tesla only sells 16,000 units annually, Apple’s volume model doesn’t hold water without a product already designed, built, and tested. Vehicles have become exponentially better over the years. Reliability is at an all-time high, and planned obsolescence is nearly dead. However, car shopping and car technology is seriously lacking. 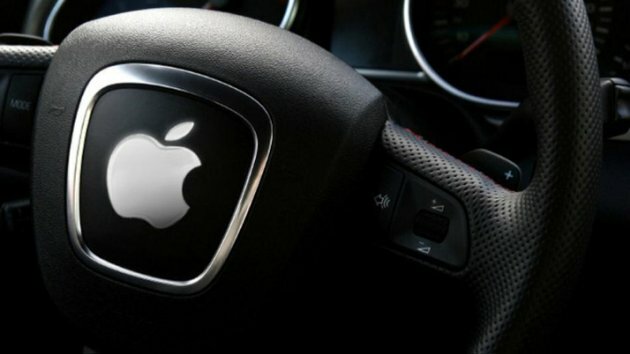 Apple is poised to overthrow the mobile vehicle shopping experience and the connected car experience through their massive mobile market share. If they truly want to develop their own car, get the consumer hooked on connecting their device to their car first. Steve Jobs didn’t invent the phone, he just changed how it was used. Vehicles accomplish a very simple need which Apple doesn’t need to change, just refine. We can only hope they do it sooner than later.